Kenyans overwhelmingly ushered our current constitution on the promise of Devolution and its associated benefits which they felt would translate to increased grass root access to resources and political power. 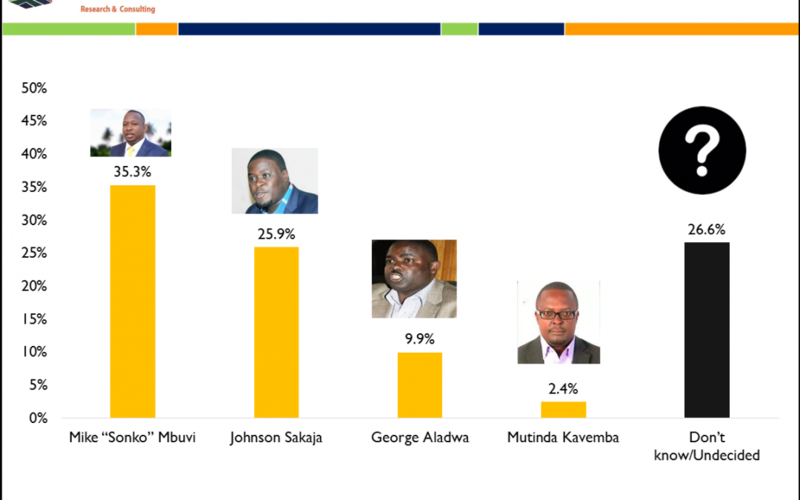 It’s not therefore surprising that since the election of governors in 2013, majority of people have had extremely high expectations of their county governments. While most county governments spent the nascent period predominantly laying the ground work and planning aptly in order to deliver on the promises, others grabbed the opportunity not only to lay the operating framework, but also to actualise quick wins that resonated with the public. Two years into devolution and twenty seven months to the next elections the time for concerted action is here. County governments need to fully decipher the perceptions of their residents and develop strategies that are concomitant with their expectations. It’s against this back drop that Infotrak research & Consulting developed The CountyTrak Index. The main objective of the Index is to ascertain County residents’ assessment on the performance of their County Governments against set Key performance indicators and to develop a Citizens Scorecard on the performance of their County governments. A sample of 600 respondents per county was interviewed translating into a margin of error +/- 4 at 95% degree of confidence between December 2014 and February 2015. The key drivers that determine positive or negative perception over the traction devolution has made emanate from the existence or lack thereof of tangible development activities. 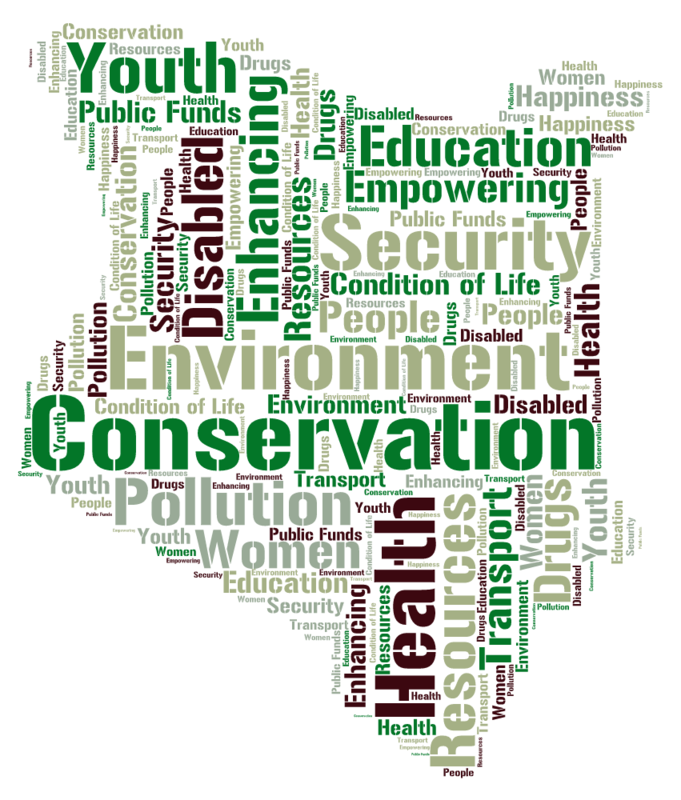 As such, positive sentiments about devolution have been realised where there is increased infrastructural development especially in the area of road networks; where there is proof of existing health facilities being rehabilitated and new ones being built; where there are increased childhood education facilities and village polytechnics and where there is increased food production and affordable and easy access to food. Where infrastructure, health, education and agriculture have performed comparatively poorly, the county residents have intimated that the situation in their areas is essentially worse than before. Where infrastructure, health, education and agriculture functions have been performed well, county residents have expressed optimism with devolution. If you really want to be happy or meet happy people, then you must take a trip to Samburu, Narok, Machakos Muranga, Elgeyo Marakwet, Garissa and West Pokot where where the happiness index is above 72%. It is no mean feat that these counties have managed to garner such a high index as the national average across the 47 counties is 66%. There are lessons to be learnt from Samburu, Narok and the other happy counties so it may be useful to make a visit.Interestingly the CountyTrak Happiness index is closely corroborated the results of a recent Gallup Happiness survey which pitted Kenya as the 33rd happiest country in the in the world. Hot on the heels of the 2003 elections, Kenyans were ranked as one of the most optimistic countries globally. The situation of buoyancy was attributed to the renewed hope that Kenyans had with the new NARC government. The honeymoon with NARC was short lived and Kenyans soon relegated back to dire levels of optimism as corruption, nepotism, tribalism crept back into government and rendered the country extremely inept and perhaps one of the most corrupt. The situation was exacerbated by the unfortunate events of the post-election violence. Yet over every cloud there is a rainbow. Kenyans’ rainbow manifested itself through the new constitution which was heavily hinged on devolution. The mean optimism index across all 47 counties was 76% probably making Kenyans once again one of the most optimistic people globally. While optimism was a general question in the CountyTrak Index, The core drivers for optimism are linked to improvements in areas such as agriculture, health, trade, education, infrastructure etc. In areas where insecurity was rife prior to devolution, activities that have been initiated to mitigate the situation by national government in conjunction with County governments have also increased optimism. The Optimists club top league; the counties with the rosiest views of the next year include Baringo, Bungoma, Kericho, Kisii, Kajiado. Generally, the people of Muranga are more satisfied with their condition of life than residents of most other counties. This county where the colonialist first introduced dairy farming has an unsurprisingly vibrant economy and a high GDP per capita. And whilst money can’t buy happiness, the higher than average disposable income that the people of Muranga possess predisposes them to a relatively comfortable lifestyle. The same may be alluded of Machakos, Narok and Uasin Gishu where heightened trade and development and increased the disposable income of the county residents resulting in improved lifestyles. Garissa which would at the onset surprise most as being among the top three counties with the best condition of life owing to the incessant insecurity spate, is also acclaimed for high camaraderie among residents. The fact that people can rely on each other for support makes it easy for them to get things done. Additionally, Garissa residents claim that apart from the terror attacks, the county is generally one of the safest places to live. Incidents of robbery and theft are extremely rare. The main objective of the Index is to ascertain County residents’ assessment on the performance of their County Governments against set Key performance indicators and to develop a Citizens Scorecard on the performance of their County governments. Thisperception Index probably the first of its kind and magnitude in Kenya, provides an excellent baseline on county residents’ appraisal of performance not only by devolved function but also by ward. The baseline index also provides a palate from where other evaluation tools can be developed to further probe and understand the insights from the statistics. Using a sample of N= 28,200 ( n=600 per county) , the CountyTrak Index was conducted between December 2014 & February 2015 using the CATI approach (computer assisted telephone interviews) among adult Kenyans living in the respective Counties. A structured questionnaire with likert type ranking questions was applied on key performance indicators that were developed based on the core devolved functions on one hand and Emotional areas such as condition of life, happiness and optimism on the other. Just like is done for the president and opposition head, the approval rating for elected leaders asked one simple question: How would you rate the overall performance of your Governor/Senator/Women Rep/MCA/ MP on a scale of 1-10 where 1 is extremely poor and 10 is excellent. 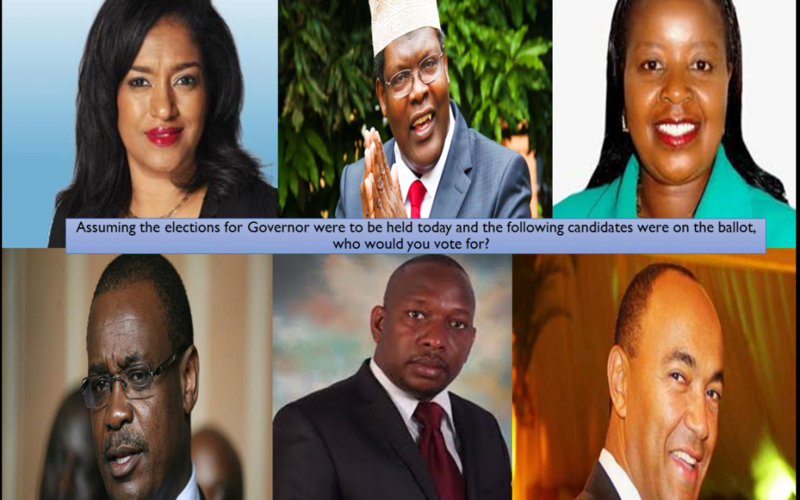 Whilst all elected leaders have elaborate job description which include but are not limited to legislation, they are elected leaders who sought the mandate of the electorate and the perception of their performance is by far and large is determined by their engagement with the same electorate.With the exception of MCA ratings where the ratings of all MCAs within the county were consolidated into one overall index, the ratings of all the other elected leaders within the county are individual ratings and depend entirely on their engagement with their electorate.